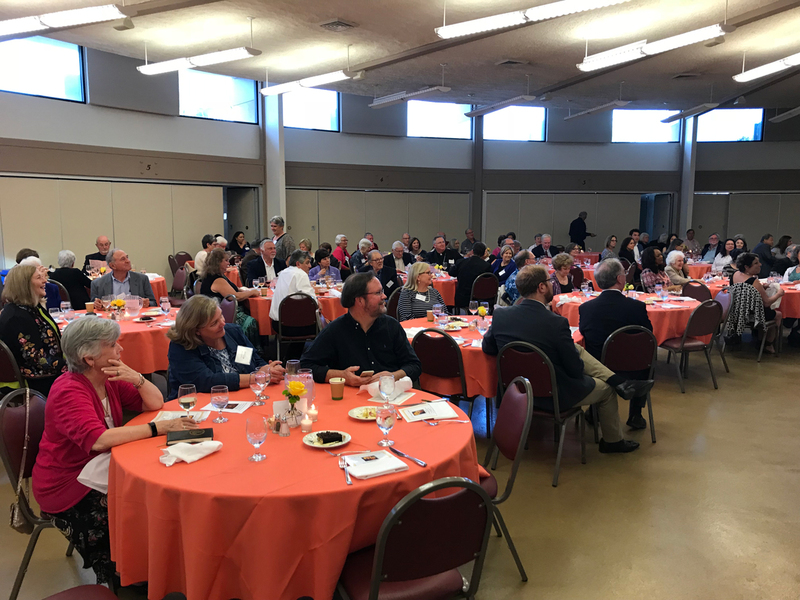 The Ignatian Volunteer Corps San Diego hosted the 10th Evening of Gratitude with the awarding of the Madonna Della Strada Award and the Sheila O’Malley Vision and Dedication Award at St. Catherine Labouré parish. MFF Director Barbara Menard has been involved with the IVC since 2005 and serves as the chair of the Regional Advisory Council. The evening began with the Celebration of the Eucharist with Rev. Gil Gentile, SJ and Bishop John Dolan concelebrating. Hors d’oeuvres and dinner catered by The French Gourmet followed in the hall. Music was performed by Pop Nouveau. 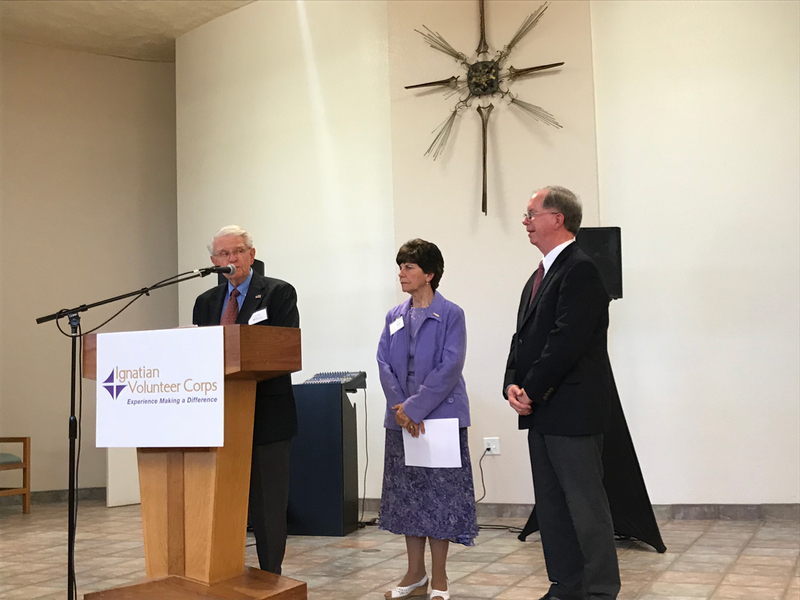 Most Reverend Auxiliary Bishop John Dolan was the recipient of the Della Strada Award. 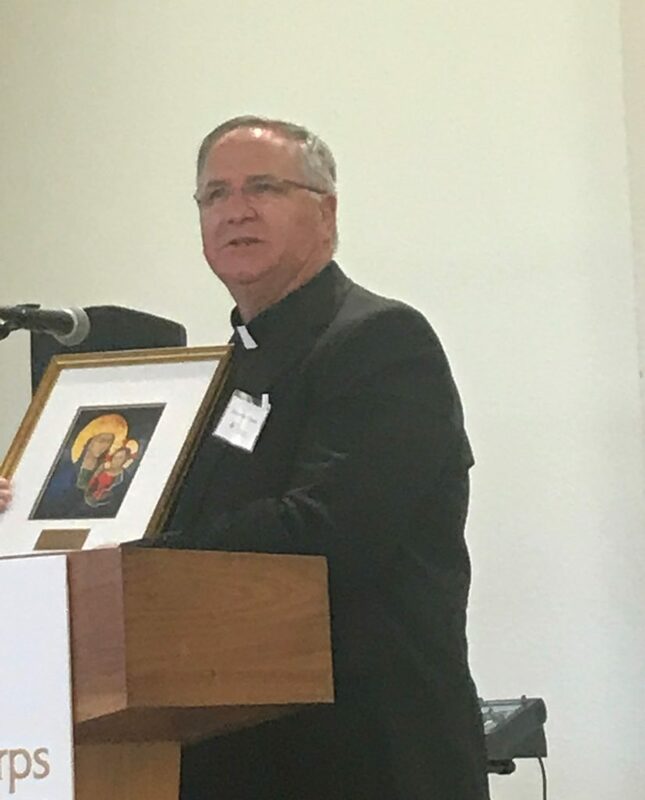 He is a San Diego native who was ordained to the priesthood in 1989 and has served as a priest in the Diocese of San Diego for nearly 28 years. 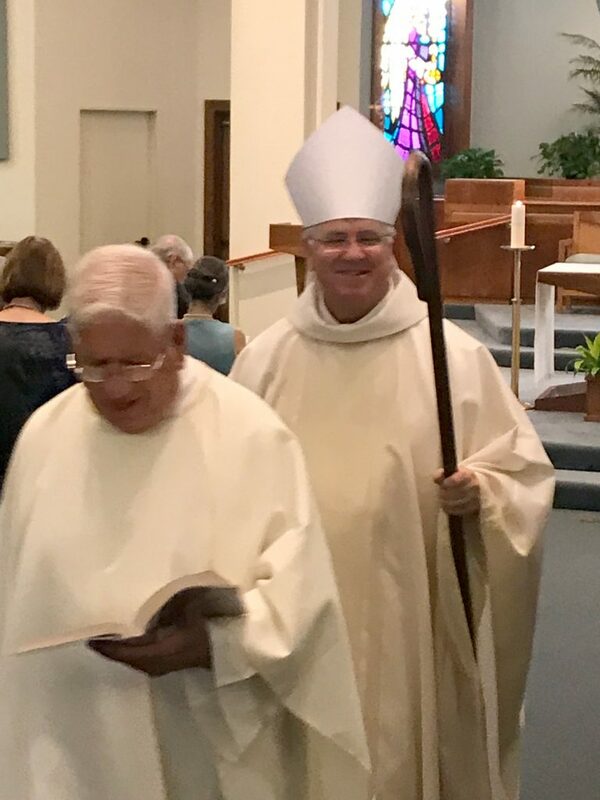 He was appointed by Bishop Robert McElroy as Moderator of the Curia and Vicar for Clergy at the Pastoral Center where he will assist Bishop McElroy in administering the diocese and overseeing the assignment of priests and clergy at the 98 parishes. Bishop Dolan has been a champion of social justice and a welcoming church. 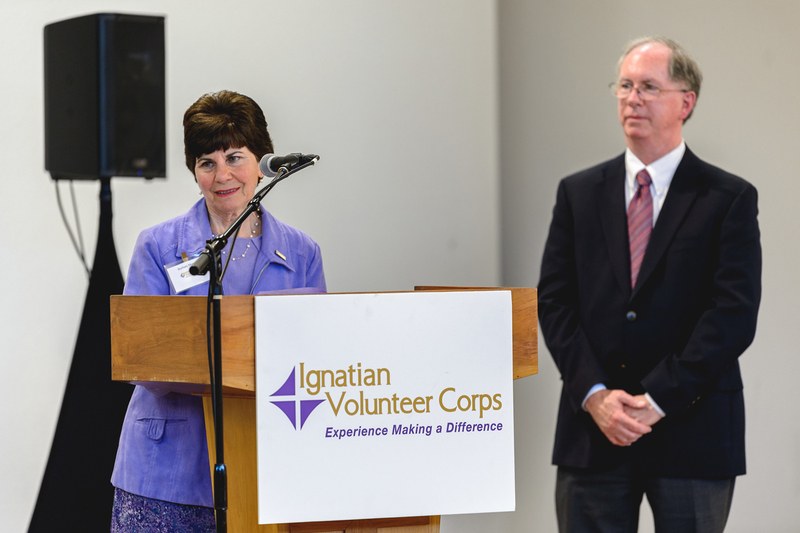 The Sheila O’Malley Vision and Dedication Award was established in 2016 to honor an individual or individuals who like Sheila O’Malley (1949-2016) envisions the growth of IVC to serve people in need, deepen Ignatian spirituality and spread the Kingdom of God on earth everywhere. With humility, love, relentless energy, empathy and enthusiasm the recipient of this award mentors others and leads with a sense of humor. The Award is presented with joy to a person of prayer, faith and discernment. The recipients this year were Carmela Cavero and Sr. Maureen Therese Keegan, SCMM. Carmela began with IVC San Diego in its earliest beginnings. With a degree and certification in midwifery, Carmela worked and volunteered among women, men and their families for decades. Her most recent long-term ministry was at Catholic Charities’ Casa San Juan working with women apprehended from dangerous circumstances at the border. Sr. Maureen Keegan with her fellow sisters Rachel Daniels and Elaine Krebsbach established the San Diego Community of Good News in 1976 serving and sheltering at different times Laotian immigrants, the abused, young and elderly women , needy students and sisters of other congregations. In 1983 she established Emmaus Today, Inc. whose services include a Christian (nondenominational) Montessori School, spiritual counseling, tutoring, adult education and missionary work of El Centro de Communidad de Tecolote in Tijuana, Baja California, Mexico. 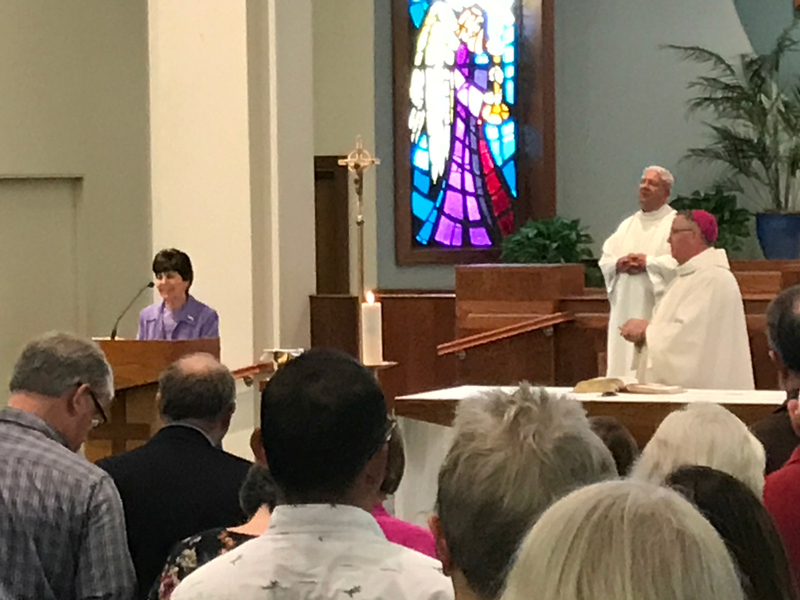 Sr. Maureen has served as one of the first spiritual directors for IVC San Diego.